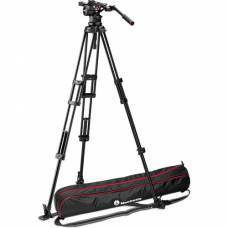 Nitrotech N8 video ball head and tripod system - high-quality stability for professional photographers. 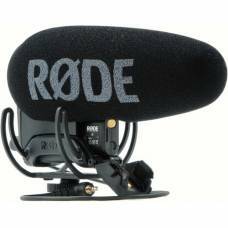 The Nitrotech N8 fluid head ensures super-smooth panning and tilting while the 546GB aluminium 2-stage video tripod with ground-level spreader offers great stability with an impressive loading capacity of 8 kg. 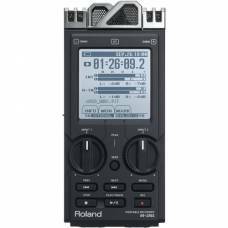 The video system includes the Nitrotech N8 fluid video head (flat base) and the 546GB aluminium twin leg with ground spreader tripod. 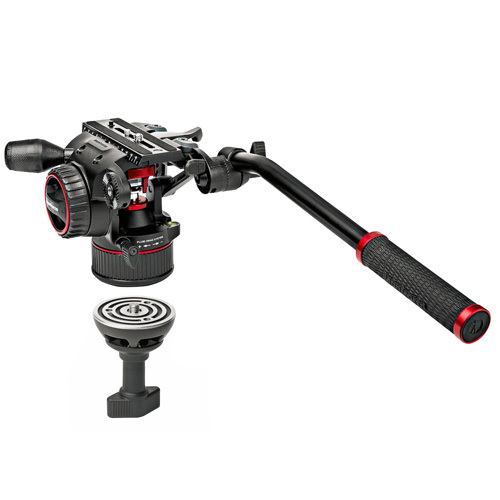 The Nitrotech N8 fluid video head features state-of-the-art technology consisting in a Nitrogen piston mechanism that allows continuous counterbalance system that enables precise control of a camera and accessories up to 8 kg at 55 mm centre of gravity. 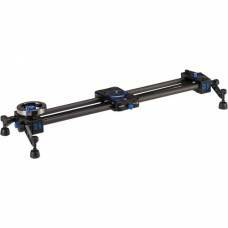 The Nitrotech head has a flat base mount with a standard 3/8” thread that is highly versatile for different support combinations (tripod, slider, jib or crane). The head attaches to the tripod thanks to a 75 mm half ball. 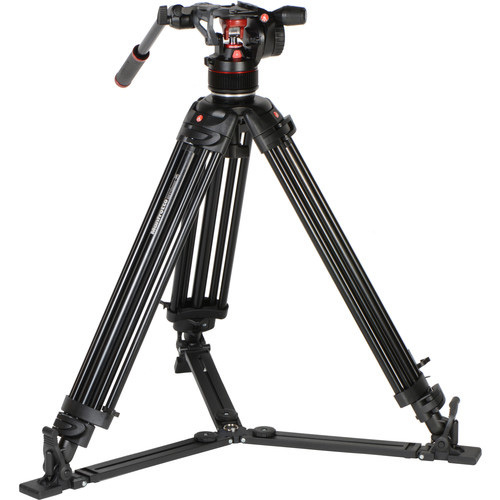 The 546GB two-stage twin leg tripod is an extremely rigid solution featuring a telescopic ground spreader. 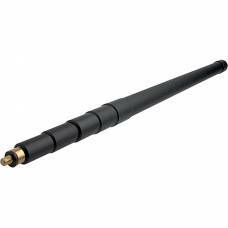 Its leg locks are secure and reliable, and it is equipped with spiked feet with a rubber overshoe for solid grounding on both uneven terrain and smooth floors. 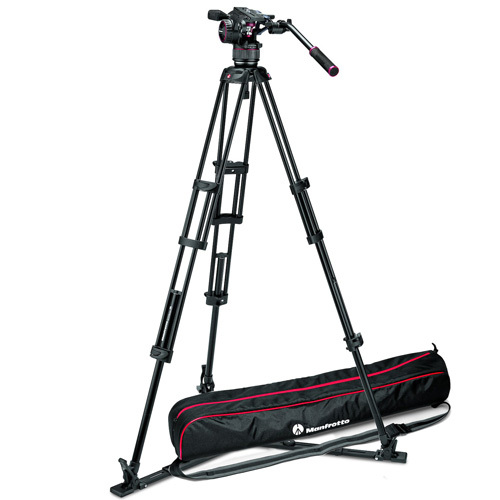 The tripod can be used with a variety of Manfrotto dollies. 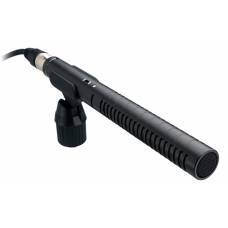 Nitrotech flat base N12 fluid video ball head allows precise and smooth control of the camera. 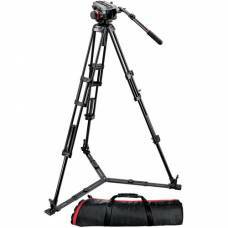 The N12 fluid head offers smooth pan and tilt motion while the aluminium twin leg tripod offers great stability. 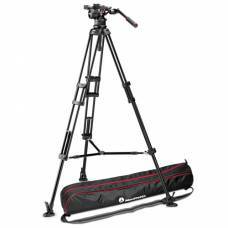 The Benro A673TGH8 video tripod kit is perfect for more professional videographic or cinematogra.. 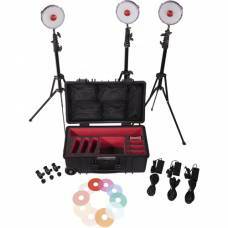 This Manfrotto 504HD video fluid head kit allows you to become the professional videographer you know you really are.